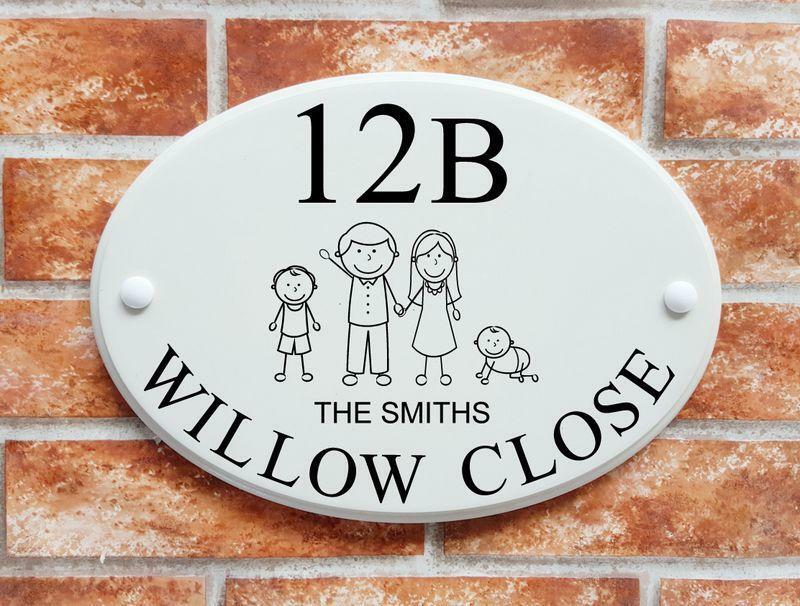 This house number plate measuring 210mm high by 140mm wide and 12mm thick is suitable for a house number of up to 4 digits, or 3 digits and a suffix letter. 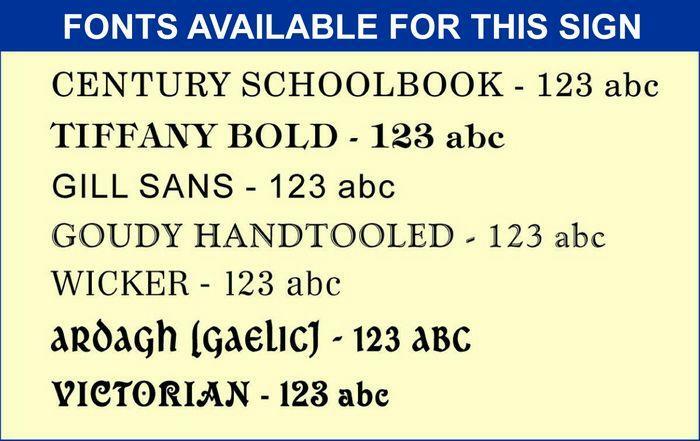 Alternatively it can accommodate a written number with up to 4 letters. 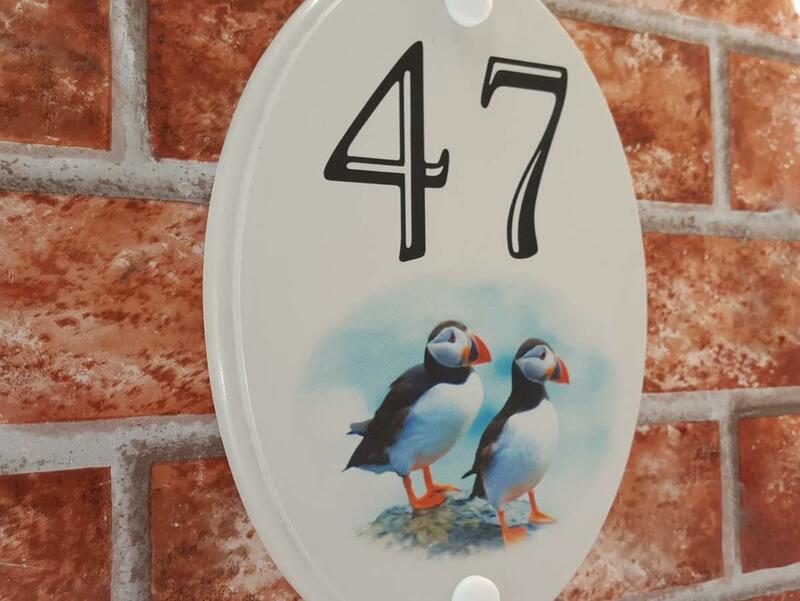 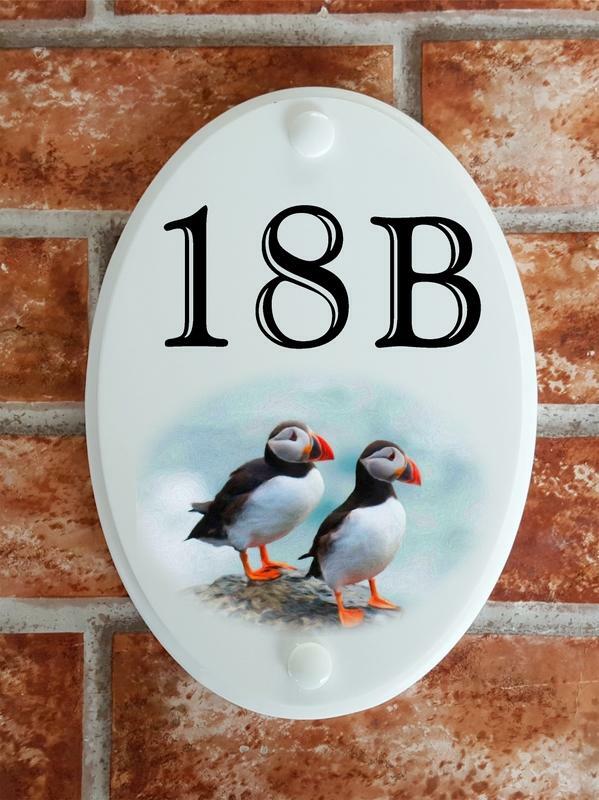 This product features a print of two puffins, just one of a choice of artistic digital prints with either black or blue house numbers in a choice of 7 different fonts to personalise your home. 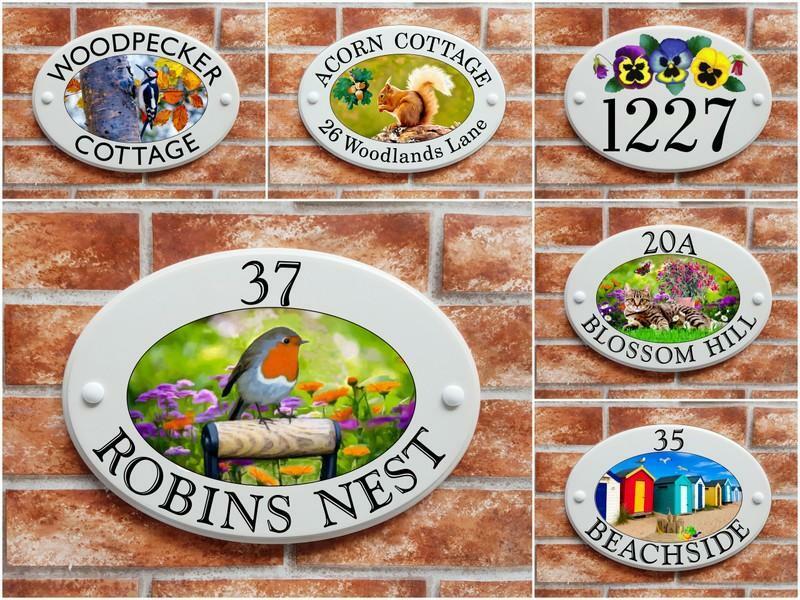 All prints have been originally created by our resident house sign artists and digitally scanned and edited from their original artwork with our own copyright.